Our main events take place at Easter and Christmas. 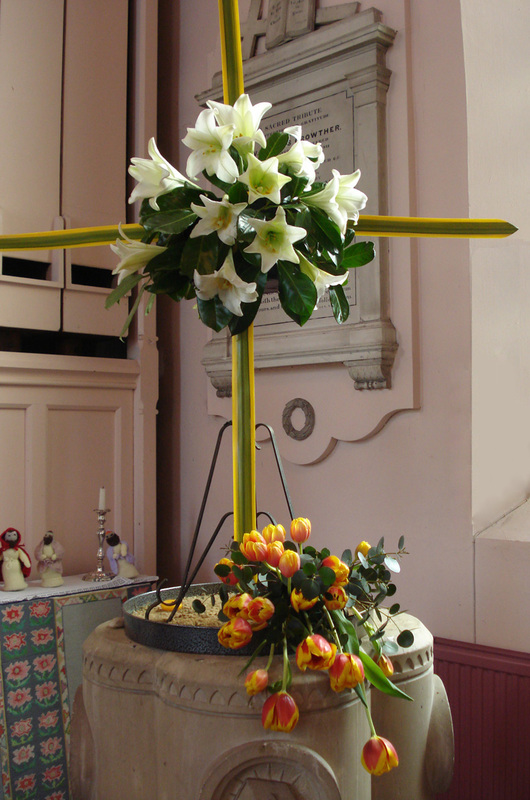 For the last 20 years we have opened up the Church over the Easter weekend for a Flower Festival, this has proved very successfull with hundreds of visitors. For photos of festivals click here. We also decorate the church at Christmas for all our Carol Services and visiting schools services. Each week (by rota) a member of the Committee arranges the flowers for the Alter in Church (except during Lent). We meet for a full Church decoration on Good Friday morning or Easter and early December for Christmas. We also do occasional weddings and again over the past 20 years have staged 10 full scale Flower Festival's.